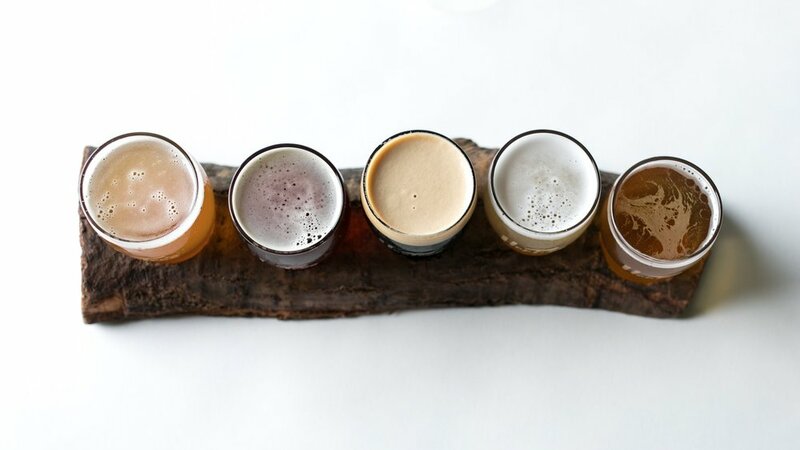 Located in Hudson, Ohio, Hop Tree Brewing is a comfortable atmosphere to enjoy craft beer and great food! 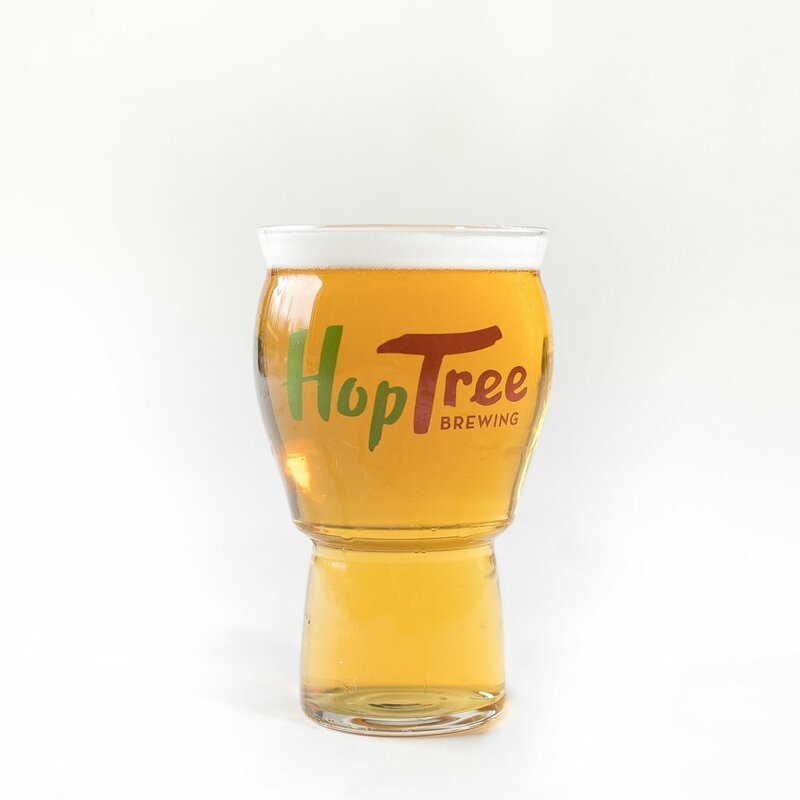 Hop Tree Brewing opened in December 2017 and is located in Hudson, Ohio. Founders Cory Ross and Greg McClymont are friends that turned a garage home-brew hobby into a dream of owning and operating a brewpub where their passion for beer, food, and people could grow. It is a dream 15 years in the making, and they are proud to have you along for the journey. Oven baked pretzel with house-made beer cheese & cream cheese butter chive spread. Oven roasted pork carnitas piled high on brioche slider rolls, topped with house-made pepper slaw. Celery sticks, carrot sticks, sweet peppers, and warm naan served with hummus. Served with 2 potato pancakes! A half pound of zesty roasted chicken breast topped with provolone, lettuce, tomato, Sriracha mayo and bacon piled high on a Brioche bun. Roast ham and pork with Swiss, butter, mustard and pickles on grilled Cuban bread. Thinly sliced corned beef piled high with Swiss, sauerkraut, house-made 1000 Island dressing on grilled rye bread. Seasoned zucchini, eggplant, and yellow squash, topped with tomatoes, caramelized onions, lettuce, and provolone, with Sriracha aoli on a toasted Brioche bun. Thinly sliced roast beef heaped on a bun with horseradish sauce, provolone, caramelized onions, and a side of Au Jus for your dipping pleasure! Romaine lettuce, house-made croutons, shaved asiago cheese blend, and caesar dressing. Soft mozzarella layered with tomatoes, and topped with fresh basil, olive oil, and balsamic glaze. Iceberg lettuce, chopped bacon, diced red onion, tomatoes, and house-made blue cheese dressing. Peanut butter and Strawberry jelly smashed between toasted bread. American, Swiss, or Provolone melted on toasted bread. Roasted shredded pork on a slider bun with coleslaw, BBQ sauce, and pickles. Add a second slider for $1 more! A traditional German Schwarz style beer - a smooth roasted malt character balanced by German noble hops. A hoppy kettle sour packed with over 1lb of mosaic hops per barrel. A dark chocolatey, slightly roasty, caramel malt character with a touch of lactose sugar sweetness in this Milk Stout. Each week we offer different entree or appetizer and soup specials! Looking for a place to host your next work event, bridal shower, or family reunion? At Hop Tree we love being the hosts of your event! We offer special pricing and menus for groups of 30 persons or more! If you are interested in hosting your next event please fill out our contact form! We look forward to working with you!